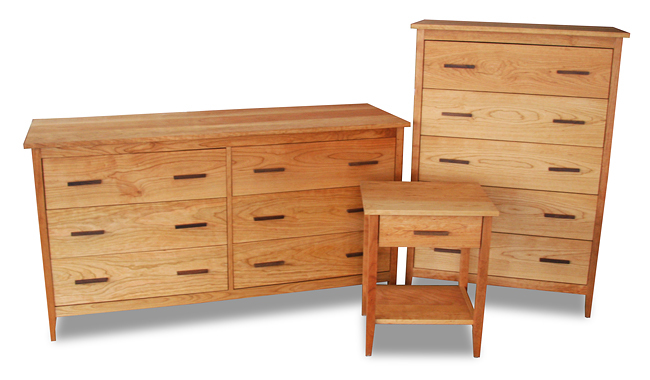 Hand-made with pride by an Amish woodworking family in northwestern New York state, our Solid Cherry Bedroom Collection is made from the top of hand-picked cherry boards, and hand-rubbed with a Danish oil finish. They all come with Dark Walnut drawer pulls or Cherry knobs and have the smoothest ball-bearing slides. All come with a Lifetime Warranty.